Surat: Seconds before take-off from Surat in Gujarat on Thursday evening, a SpiceJet flight with 140 passengers on board thudded to a stop; it had hit a buffalo that had strayed on to the runway because of a hole in the airport's boundary wall. The engine of the Boeing 737 aircraft was severely damaged by the hit and the plane stopped. The buffalo was killed. The Civil Aviation Ministry has ordered two inquiries, by the Director General of Civil Aviation and the Airports Authority of India. A perimeter security review of airports across the country has been ordered. Just next to the Surat airport are fields where grazing cattle are a common sight. Yesterday, one of the animals apparently entered the runway area through the gap in the boundary wall that is now being repaired. The pilot reportedly spotted the animal "all of a sudden," but could not avoid the collision. "If the plane had taken off after this, we would have crashed. Thank God we were saved," said a passenger, Prabhakar Joshi, who talked about a loud noise just as the plane started picking speed, as if "something had hit the wheel." 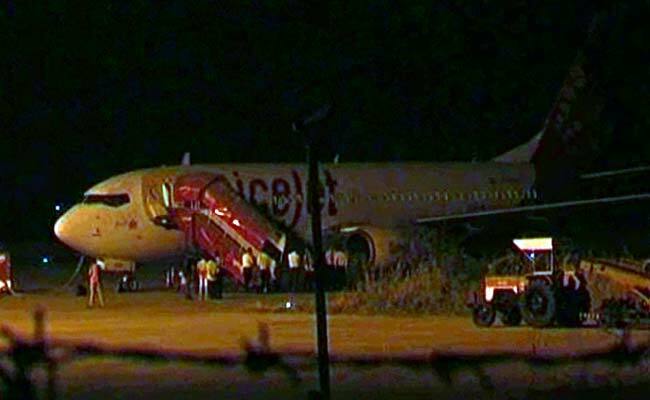 The flight was about to take off for Delhi at around 7 pm when the incident took place. The passengers were later sent on another flight. Minister Ashok Gajapati Raju held a two hour meeting this morning and ordered, sources say, that all airports should be secured by a concrete boundary, not fencing or brick walls. In a statement, SpiceJet said the buffalo was almost invisible against a dark background. "Stray animals are a growing menace in some airports. 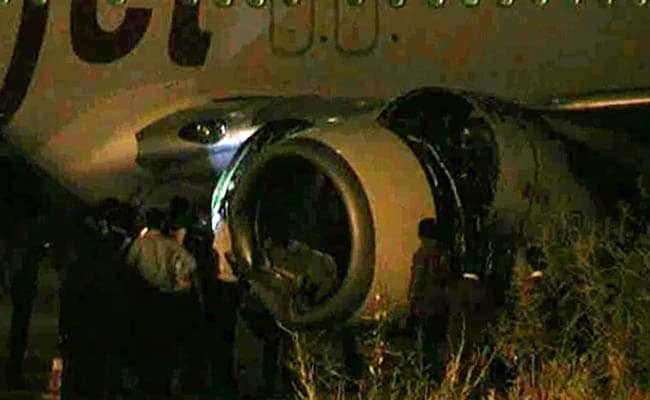 This incident has affected our regular operations and SpiceJet flights from Surat will now be suspended indefinitely after this incident," airline spokesperson Siddharth Kumar said on Thursday. The civil aviation ministry is reportedly trying to get the airline to resume flights at the earliest, but SpiceJet says it wants "corrective measures to ensure its passengers, crew and aircraft are not put at risk again."